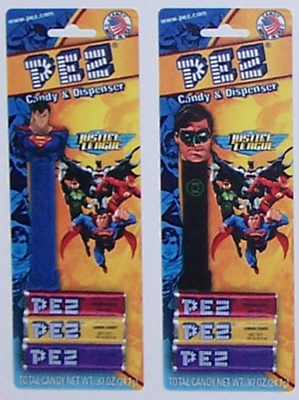 Flash Pez! I’m tired of seeing all those Batman’s staring at me when grocery shopping. I seriously love some Pez. I have a skull Pez dispenser in the arm rest storage compartment of my truck. Over the years there have been numerous Batmans, a Batgirl, Wonder Woman, and different members of Batman’s villains; but no Flash. That makes me sad. Now here is the exciting thing. In 2011 Pez is actually planning a Justice League Line! So far it is planned on being Superman, Batman, and Green Lantern only, but the picture on the box mock ups has Flash so maybe he’ll be in an expansion. Poor Superman gets one of those lame mini-bust dispensers. Apparently his head by itself isn’t recognizable as Superman. I want a Walter West Flash shirt. The Dark Flash was my favorite Flash costume and to be honest, Walter is probably my favorite Flash. I remember when those issues came out it was insane waiting till the next month hoping to find out who was under that cowl. 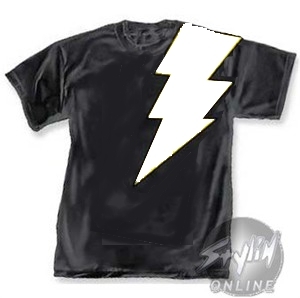 Graphitti Designs actually did a Dark Flash shirt during that run, but the lighting bolt wasn’t angled over the shoulder, it was just a Black Adam shirt with a grey bolt instead of a yellow one. I want something more accurate to character. Put it on either a black shirt or a really, really dark red one. 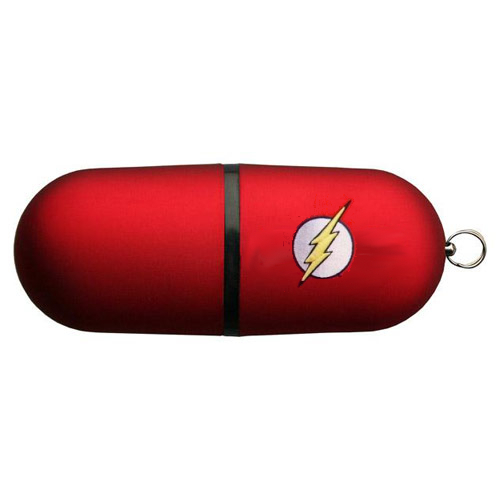 A Flash flash drive; so simple, so perfect. Give me at least 4 GB, make it red, and slap a Flash symbol on it that won't scratch off easily. 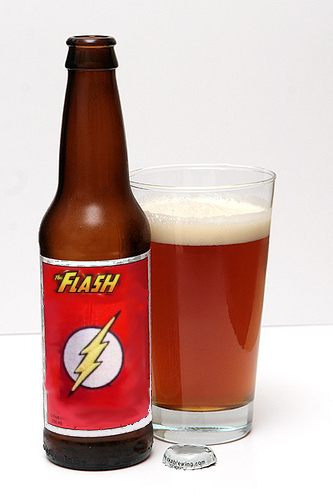 Include a couple Flash related files on it. Cover galleries would be good. Or maybe an Flash-centric episode of JLU or Batman Brave and the Bold. Hell just put an MP3 of the Ballad of Barry Allen, I’d buy it. I’m a flash drive junkie though; my desk has 3-4 of them randomly thrown on it at all times. My final entry for this Flash wish list is Flash beer. A nice red ale would be perfect. Drink a few; maybe leave one unopened for display. DC might not want to direct superhero licenses to non-kid products but this is the company who published the Rise of Arsenal, so they aren’t that kid friendly. Even better would be to bump the ABV value of the beer up to the 20% area and then they could claim it gets you drunker than any other beer. So that is it for this list, it may be an idea I come back to later. Is there anything on your Flash wish list? a Flash logo hood ornament.. and other car decals would be cool. I would definitely want a comic book accurate Dark Flash shirt or hoodie! There is one this you are forgetting on your list... a wearable ring(not a cheap plastic one) that has an actual spring loaded top piece. Costume optional on that one. Hell I would love an accurate up to date Flash family statue. I'll take Jay, Barry, Wally, and Bart but they could be nice and include Jesse, Max and Irey. They could make it a component statue where you get one or two characters at a time. Not to mention most would just require small modification and repaint to do the Reverse of each! (Thawne, Rival, Zolomon, Christina, Thaddeus, all though Irey hasn't got her evil twin yet! I love the ring idea, I've actually talked to a local jeweler about that. The vinyl Flash stickers they do sell hold up pretty well on the cars, I've had one on the back of my truck for a while now. I love the build a statue idea!! They've already done the Bat family, Green Lanterns, and are currently doing Superman. Maybe Flash will be next? You could do Max and Bart on one, Wally and Iris on the second, Jay and Jesse on the third with Barry being a build a fig.